I love Cinnamon Rolls. I always have and I always will. The smell of Cinnamon Rolls is just as addictive to me. I often crave Cinnamon Rolls and this cake can offer me the same flavors. All the deliciousness of cinnamon rolls in a much simpler and quicker form. What’s not to love? 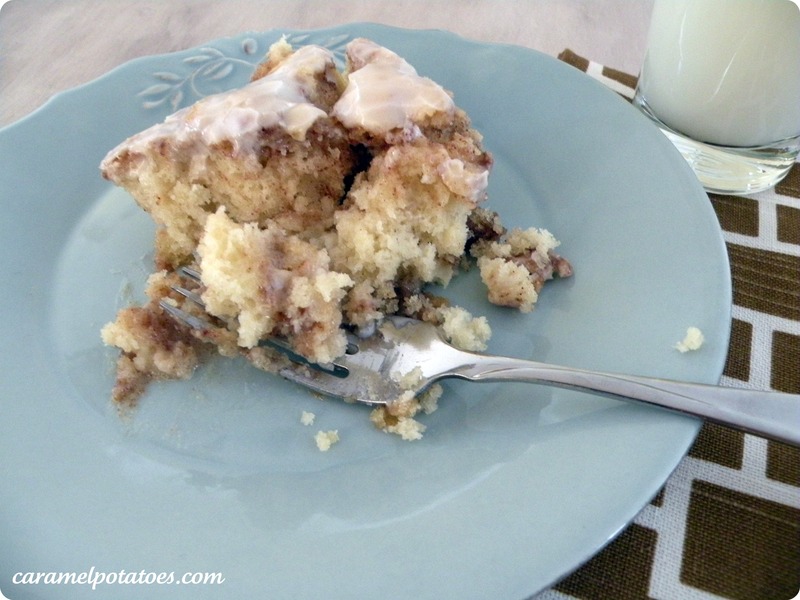 This Cinnamon Roll Cake is perfect for dessert, brunch or even breakfast. In an electric or stand mixer mix the flour, salt, sugar, baking powder, milk, eggs and vanilla. Once combined well, slowly stir in the 1/2 cup melted butter. Pour batter into a greased 9 x 13 inch baking pan. In a large bowl, mix the 2 sticks of softened butter, brown sugar, flour, cinnamon and pecans until well combined. Drop evenly over cake batter by the tablespoonfuls and use a knife to marble/swirl through the cake. Bake at 350 degrees for 25-30 minutes or until toothpick comes out nearly clean from center. You want to make sure it’s done. Place powdered sugar, milk and vanilla in a large bowl. Whisk until smooth. Drizzle over warm cake. Serve warm or at room temperature. I’m intimidated by making bread – but i am definitely going to make this! mmm, can’t wait! 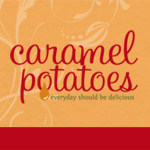 This looks delicious, definitely another one to try! I pinned it! do you think it would be good as small loaves? I honestly have never tried to freeze it before, so I am not sure how it would work. And I would definitely try it in small loaves, just adjust your baking time.